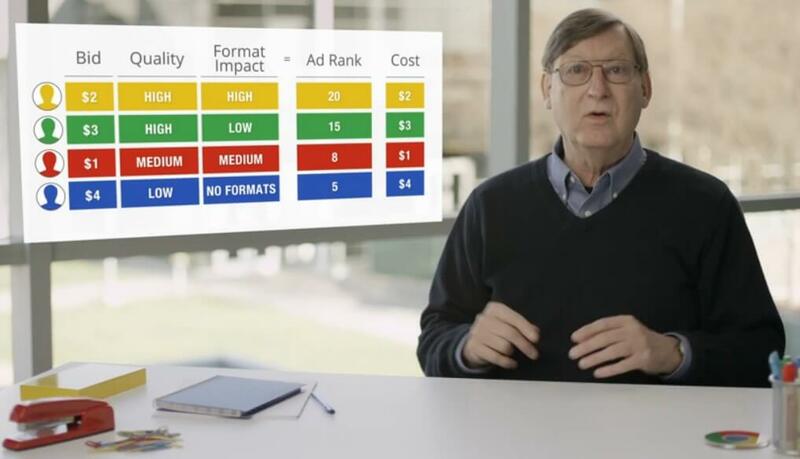 Hal Varian, Google's chief economist, explains how the AdWords auction works. Contact us for a quote. Online by Digital will optimise your campaigns by fine-tuning keywords, adverts, and advert groups to ensure your ROI (Return on an investment) increases. Hal Varian, Google's chief economist, provides an in-depth and insightful overview of how the ad auction works. Hal describes how the auction system works so that consumers always see the most relevant ads and advertisers get the most value. He also provides insight into the key components of ad rank: bid, quality and formats, and the way all of this works together to determine your ad's position and cost. This entry was posted in Web Design, Google Adwords and tagged Google AdWords, Attract more customers, new website visitors, ad rank, website design companies in johannesburg, web design companies in south africa.